Roz Clarke divides her time between Bristol and London, and has recently completed a 2-year stint of corporate problem-solving, leaving her to focus fully on the important things in life: writing, gaming, the impending apocalypse, and bicycles. 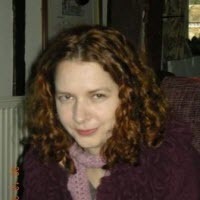 She is a graduate of Clarion West, and has had short fiction published in magazines including Black Static, as well as the Dark Spires anthology and Andy Bigwood’s The Sixty. She’s also a member of the BristolCon team. You can find her at www.firefew.com or on Twitter: @zora_db.